Happy Friday! 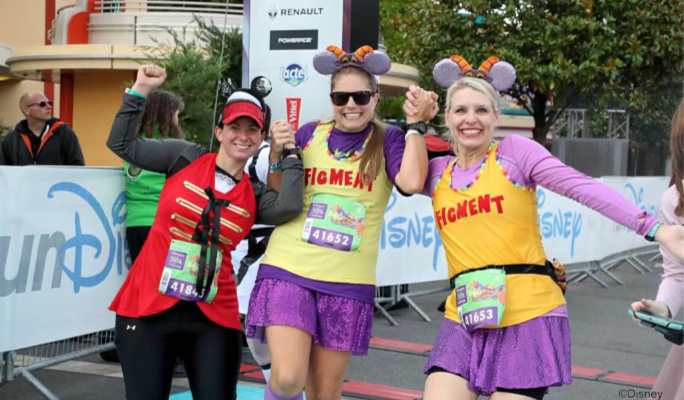 Our dear friend, Jennalyn Jaeger, joins us today to chat about the 2018 Disneyland Paris Half Marathon Weekend. In this episode, she shares her Expo and 5k adventure, plus she offers a cautionary travel tale about passports. Next week, we talk about the 10k, Joyful Miles meet-up, and the half marathon! Thanks for listening and have a joyful day! If you have a moment, please SUBSCRIBE, RATE and REVIEW our podcast. It will help us with ranking and we’d truly appreciate it! FOLLOW US AT: Our Blog, YouTube Channel, Instagram, Twitter, Facebook, and Joyful Miles Running Club. Next post: Run the Year 2018 Update!